The NBA playoffs are on the sports schedule today as the Detroit Pistons will clash with the Milwaukee Bucks. The Pistons are heading into this game after a strong win in the game against the Knicks with a score of 115-89. The Pistons managed to get into the playoffs this season. They were losing pace in the final weeks but this team is strong as they managed to win their last two games. Moreover, they demolished the Knicks in their last game and now they will aim to get a win in the first game of the series. Also, they have the in-form Luke Kennard who led the team in the win against the Knicks with 27 points in the game. On the offensive side of the game, the Pistons score an average of 107 points per game. Therefore, this record is enough for the 25th spot in the league in scoring. Also, they have an average of 45 boards per game combined with 22.5 dimes per night. On the defensive side of the game, the Pistons concede an average of 107.3 points per game. Therefore, this record is enough for the 7th spot in the league in scoring defence. The Bucks are one of the best teams in the NBA this season. Moreover, this team managed to win 60 games during the regular part of the season. Also, they finished on the top spot in the Eastern Conference which shows their dominance in the East Side. However, Milwaukee ended the season with a 127-116 loss at home by Oklahoma City. Yet, this was not an important game for them. On the offensive side of the game, the Bucks score an average of 118.1 points per game. Therefore, this record is enough for the 1st spot in the league in scoring. Also, they have an average of 49.7 boards per game combined with 26 dimes per night. On the defensive side of the game, the Bucks concede an average of 109.3 points per game. Therefore, this record is enough for the 11th spot in the league in scoring defence. 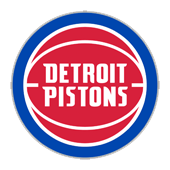 The Pistons played well in the last couple of games of the regular part of the season. They are a good team but it will be hard for them against the Bucks. On the other side, Milwaukee is one of the best teams in the league. Moreover, they are strong at home and they have the best offensive firepower in the league. Therefore, I expect a solid home win for the Bucks in this first game of the series. 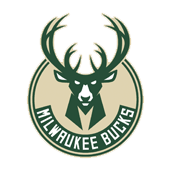 My Free Pick & Prediction for Detroit Pistons vs. Milwaukee Bucks 04/14/2019 is: take the Milwaukee Bucks -225 (Moneyline).